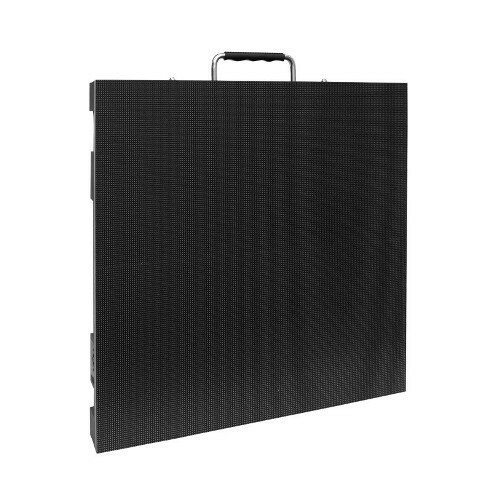 The AV4IP is a high resolution, iP65 outdoor rated, flexible video panel from ADJ for stages, installation or events. Each panel has a pixel pitch of 4.81mm with a configuration of a 3-in-1 RGB SMD1921 LEDS. The panel IS IP65 outdoor rated. The brightness is 4000 NITS. There are 4 LED modules per panel. This allows for easy serviceability. The AV4IP includes iTrue 1 powerCon In/Out and IP65 etherCON In/Out water proof connections. This panel also features a Novastar receiving card. The AV4IP is a great video solution for indoor or outdoor use. Full system packages are available with video processors, software, cabling, rigging bars and flight cases so that you have everything you need to get up and running. The AV4IP offers the same excellent build quality, reliability, and affordability as the other models in the AV series but with an IP rating (IP65 on the front, IP54 on the back) that makes it suitable for use in any weather conditions. Offering high resolution video playback, the panel has a 4.81mm pixel pitch and is powered by SMD1921 RGB LEDs which generate a brightness of 4000 NITS. It features True1 powerCON input and output sockets, as well as IP65-rated etherCON input and output connections, while multiple panels can easily be locked together to create screens of any size and shape. This makes the AV4IP suited for temporary outdoor events. • Panel Weight: 20 lbs. / 9kg.